The long awaited and much anticipated GEO visit to EUMETSAT finally arrived. It was hailed as a great success by both GEO and EUMETSAT. 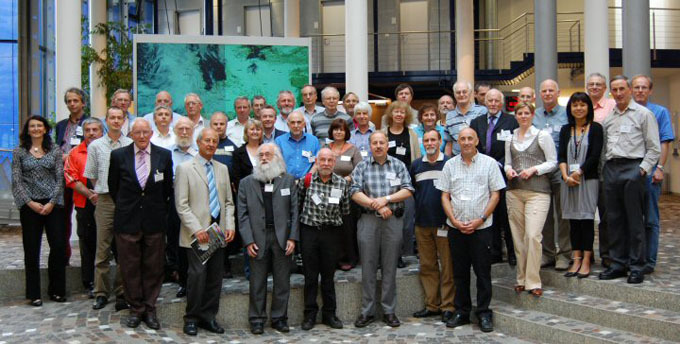 A very full two days began on July 5th at EUMETSAT headquarters with presentations, lectures and visiting EUMETSAT MSG and Metop operational facilities and the Data Archiving facility with time for questions and further discussions. Late in the afternoon some GEO members had a long and very constructive meeting with some of the EUMETCast team to discuss work both parties were undertaking regarding hardware/software issues with EUMETCast. 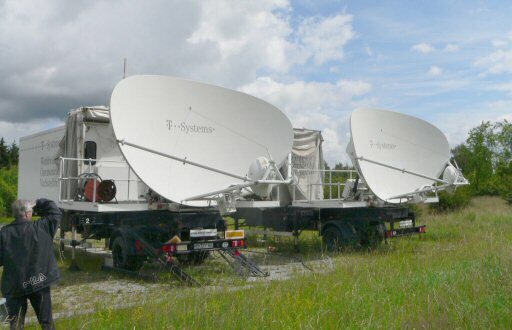 On July 6th the party set off in the early morning for the T-Systems ground station at Usingen which also houses the independent EUMETSAT MSG Ground Segment operations - dishes and control rooms. Back at Darmstadt in the afternoon we toured the ESA ESOC facilities. We would like to extend a sincere vote of thanks on behalf of the GEO delegates to Dr Lars Prahm Director General of EUMETSAT, Sally Wannop User Services Support Manager, Debbie and Pamela from User Services and to all EUMETSAT staff who welcomed us so warmly and made our visit to EUMETSAT such a memorable and enjoyable occasion. GEO delegates were pleased to be joined by Dr Lars Prahm, Director general of EUMETSAT, (holding a copy of the GEO Quarterly) for our group photograph. He opened our visit with a most warm and complimentary welcome address. 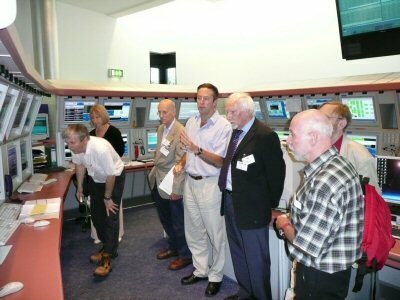 On the extreme left is Sally Wannop, EUMETSAT User Support Manager and organiser of our visit. The full text of Dr Prahm's address can be read here. 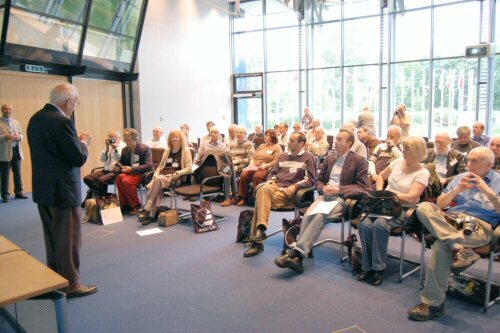 Francis Bell addresses the delegates prior to the official opening by Dr Lars Prahm (far left). The MSG Control Room - Justin Larkins explains operations. Meteosat-8 and 9 primary command dishes at Usingen. T-Systems EUMETCast uplink dish to Hotbird. The trip was a very enjoyable social occasion as well and participants descended en-masse to Greek, Mongolian and this German restaurant for some great food and atmosphere. 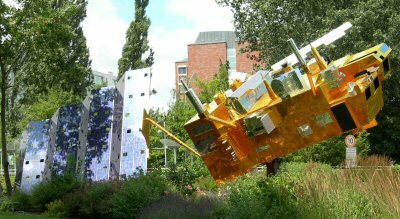 The latest and most impressive garden ornament - a Metop!